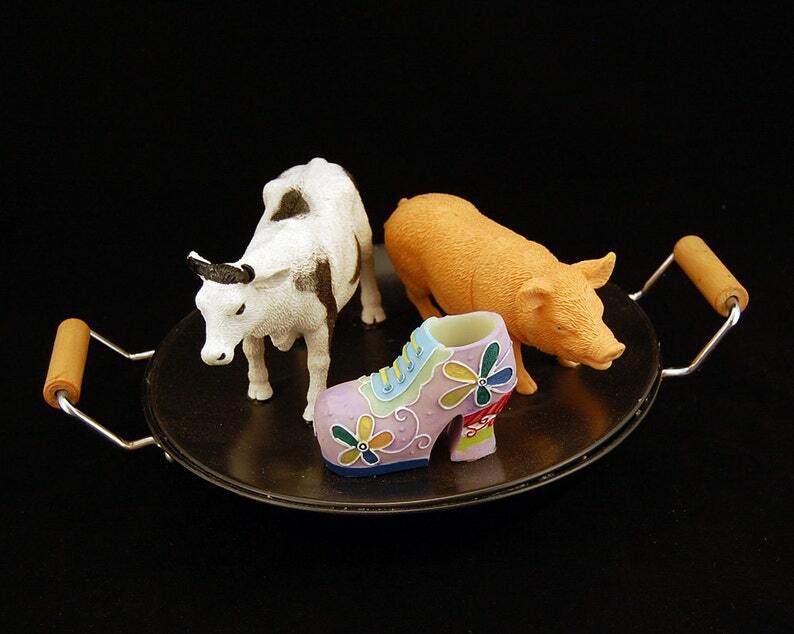 ArtParts: Plastic cow and pig, resin shoe, melamine plate, miniature wok, all from 99cent stores. 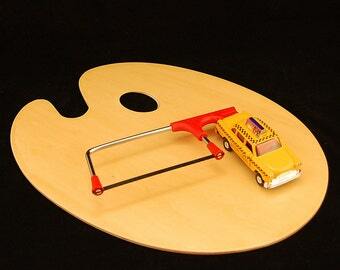 Size: 12" wide, 5.75" high. Wok excl handles is 7.75" diameter, 2.5" high.